In order to ensure the integrity of the files that you download to your computer, some websites give you a checksum of the file that you download to your computer. What you need to do is to compare the checksum given on the website with the local checksum that you generate on your computer. If both match, your file was downloaded without any issues, and it is the exact file that the website sent to your computer and not a modified one. While the website that serves you with the checksum may have their own tools to generate checksums, what would you as a general user do to check the checksum of a file on your machine? While we have already covered checking the checksum on Linux and Windows, here is a method for the users who use an Apple Mac. Mac users can use the built-in Terminal app to check a file’s checksum which means no third-party app download is required. Once it shows you the checksum for your file, you can then go ahead and compare it with the one that the source website has given you to find out if it was modified or corrupted in the process. Ensure that you have downloaded a file to your Mac for which you would like to see the checksum. In the below example I have downloaded the WinMD5 Free tool and would like to check the checksum to see if it matches with the one given on its website. Then press Space on your keyboard, type the full path to the file and press Enter. 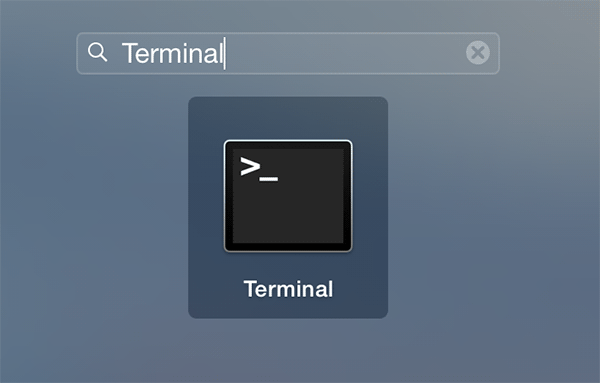 You can also drag and drop the file into the Terminal window, and the full path will automatically appear. 3. As soon as you press Enter, Terminal should compute the checksum for the given file and show it in its window. The highlighted text string that you see in the following screenshot is the checksum for your file. 4. Now, compare the computed local checksum with the one given on the website. If both are the same, your file has not been modified, and it is exactly the same file. This way you can compute checksums for as many files as you download to your computer in order to ensure that no interruptions have been made while you were downloading the files to your computer. If you are concerned about the integrity of important files that you have downloaded to your Mac, you can use the above method to find out if they are the exact and unmodified files that were sent to you. In the article on checking checksums on Windows, you show using the program “HashTab”. It should be noted that “HashTab” is also available for Mac’s…although one has to get it through the App Store and it costs $1.99USD. Yes, and we’re helping you save those $1.99 and the time to download that app, as the same task can be done right off the built-in Terminal app on the Mac.